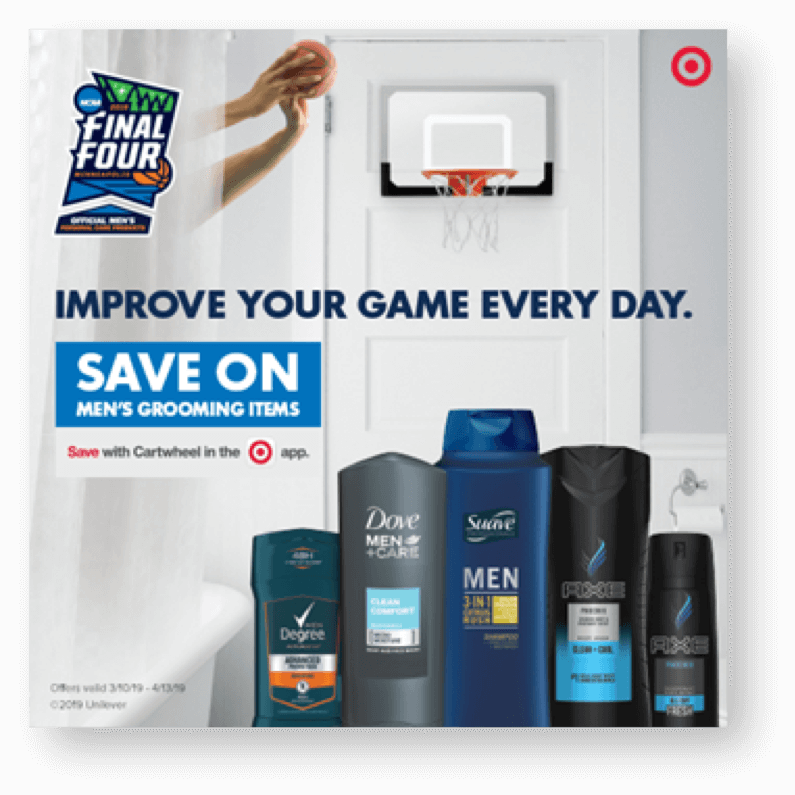 7 New Men’s Personal Care Cartwheel Offers – Stack With $5/$20 Target Coupon For Great Deals! This time of the year comes lots of NCAA sporting events. 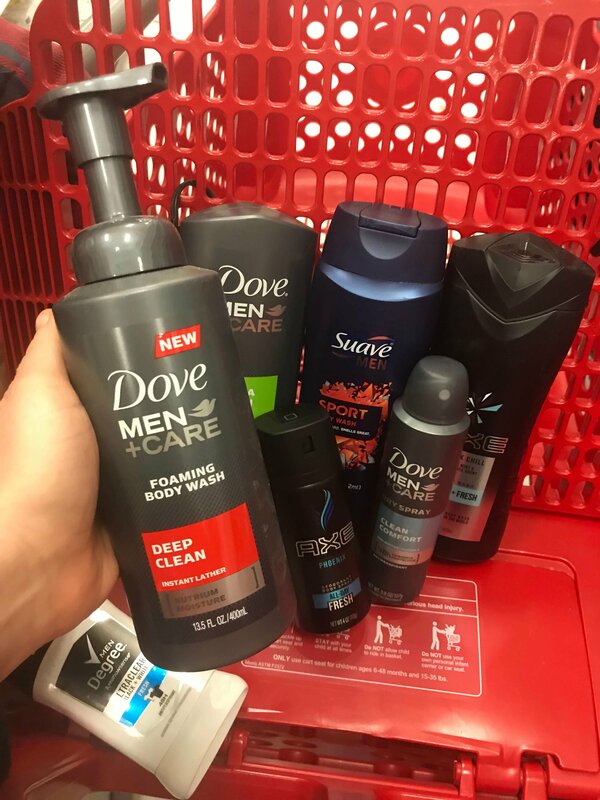 Be sure the men in your life are well-protected with these Unilever personal care brands which contain hard-hitting ingredients designed to keep you covered. Now is a great time to stock up while you’re at Target! Many of the products that have new Cartwheel offers also have coupons available! We never pay full price around here, am I right? There are some great deals you can work depending on what the man in your life wants or needs. 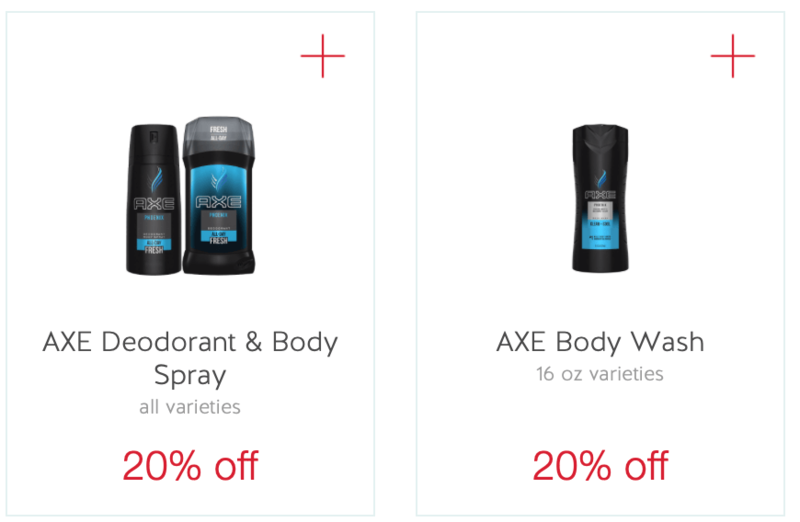 Score AXE Body Wash for over 50% off the original price. 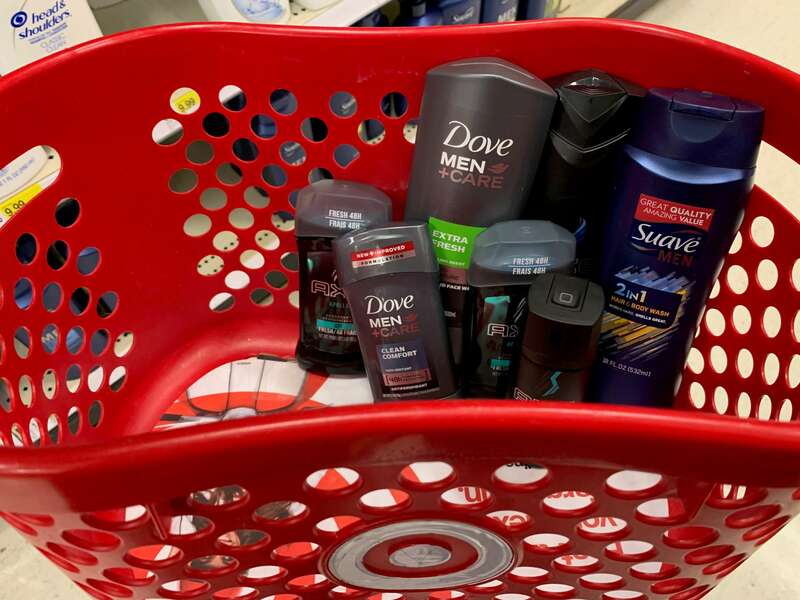 There’s also a nice Target coupon we can stack with some of these men’s grooming products. 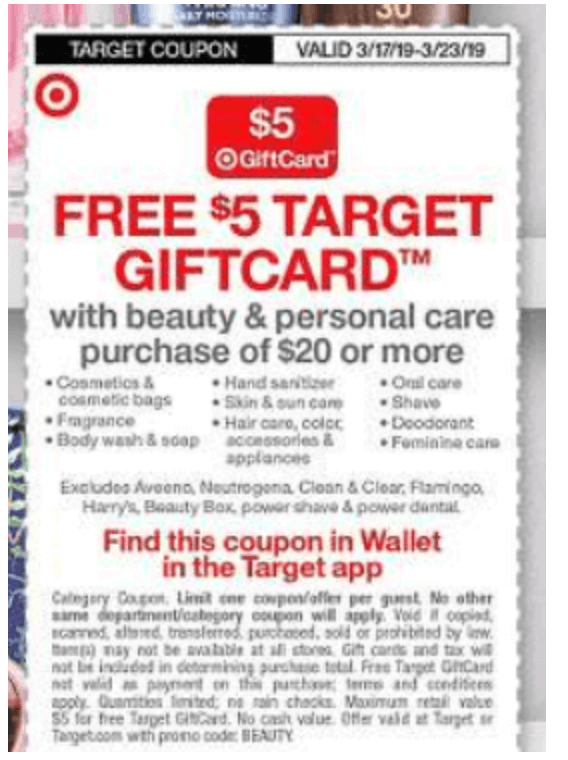 Get a $5 Target Gift Card with a Beauty or Personal Care Purchase of $20 or more. This coupon is available in this week’s Target Ad or in the Target Cartwheel App. This offer is valid through 3/23. Check out one deal idea below and be sure to let us know what other great deals you’re scoring this week!